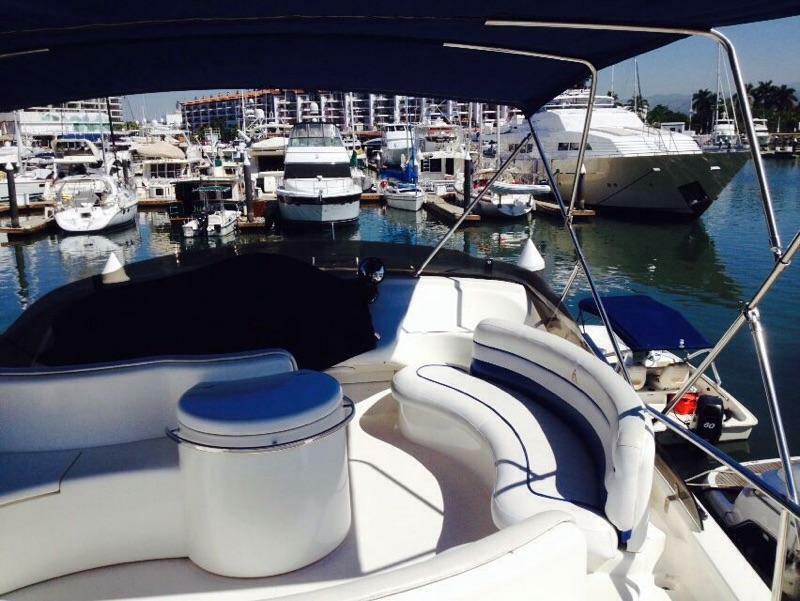 From small intimate gatherings and up to 10 people, this vessel makes for a perfect getaway with all of the essentials for having a great time. 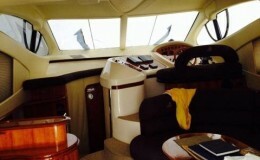 With flexibility in mind, availability of this beautiful boat starts at 4 hours and goes up to 4 weeks. 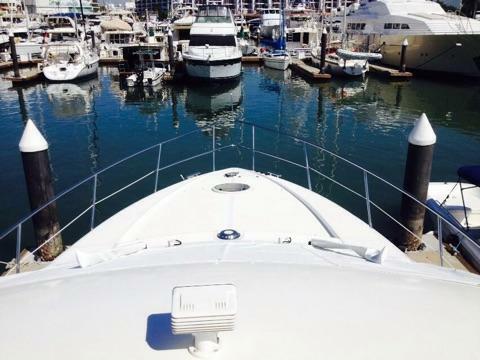 For those looking for a romantic getaway, this craft makes for a perfect day cruise including both champagne and your choice of dine in cuisine from your personal on board chef. 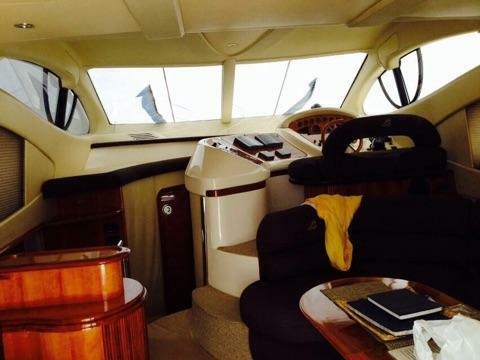 With styling ahead of its time, this Luxury Power Yacht comes with two staterooms, two full bathrooms and sleeps 4 comfortably. 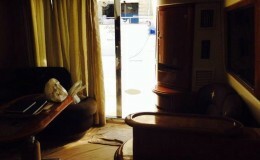 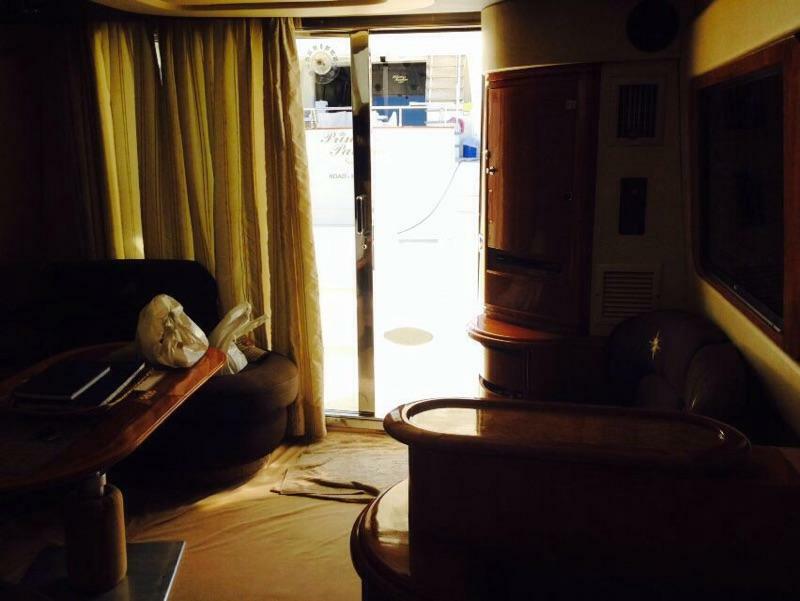 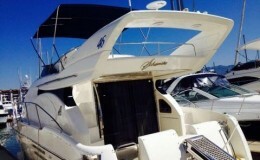 To the left of double glass salon doors the exterior stairs lead up to the flybridge which seats 6 comfortably. 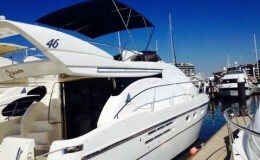 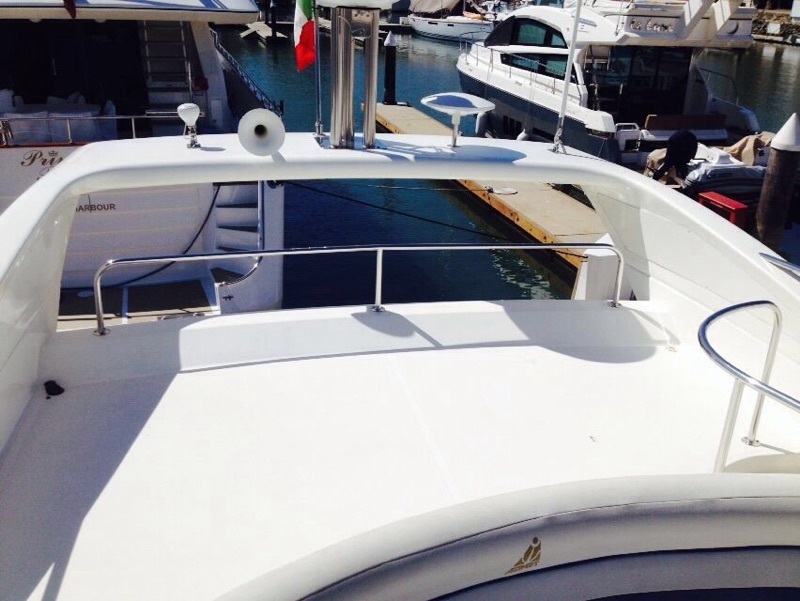 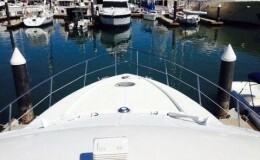 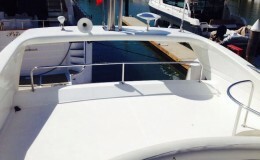 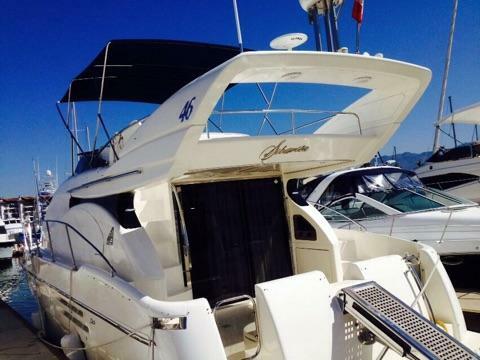 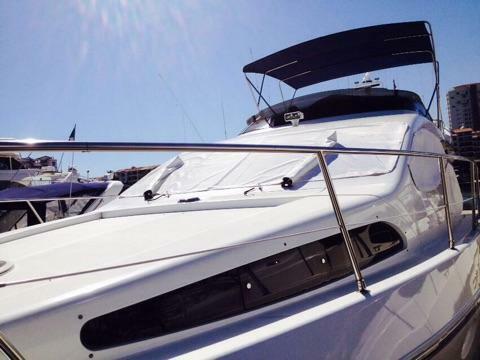 This yacht comes equipped with complete electronics and a bow thruster for ease of use. 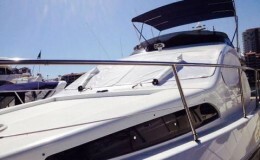 Also equipped are four zone heating and reverse cycle air conditioning, together are guaranteed to be comfortable no matter what the weather is like outside. 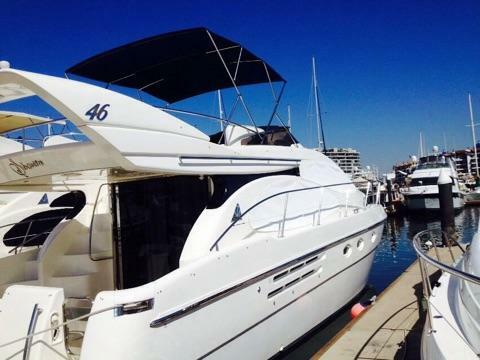 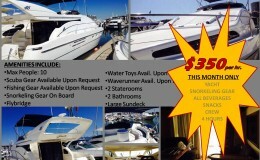 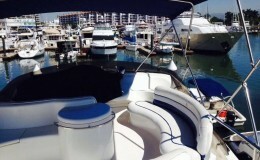 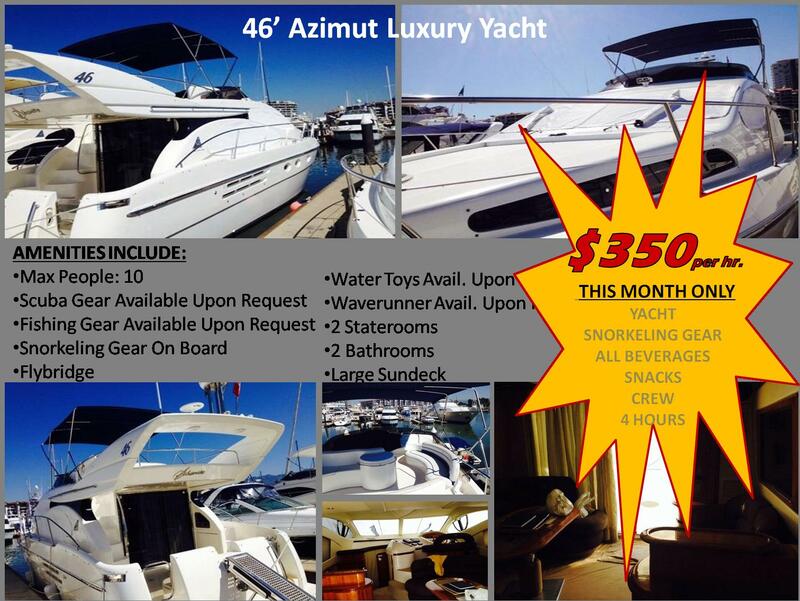 This vessel is available with your choice of water toys and dine in cuisine with open bar.